The name of the project comes from the location it self, Lenteng Agung, in South of Jakarta. This area is famous with educational neighborhood with numerous of university. The demand of small apartment units is very high to provide rental residential for thousand of students. 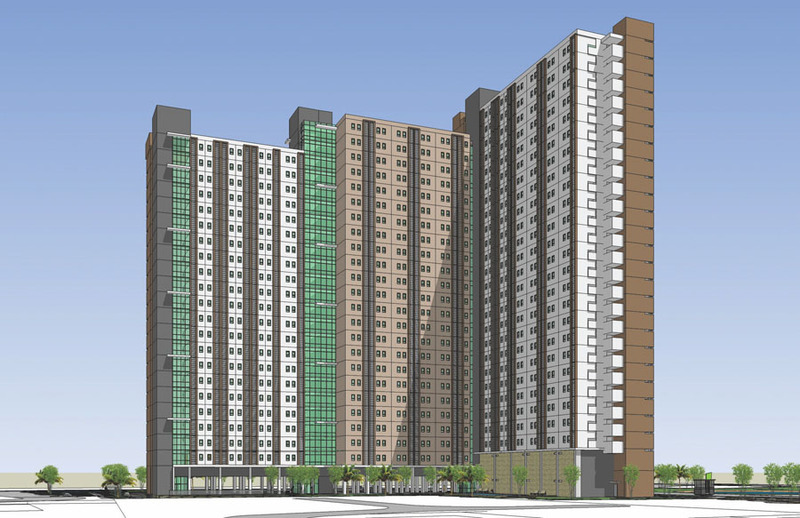 The project is subsidized government apartment or Rusunami lies on 1.4 Ha site and consist of connecting 3 towers cascading from 22-24-26 storey with 3 separate lift lobby and total 1.040 apartment units. The laguna shape swimming pool and commercial facilities are on a ground floor and part of second floor. Total development area is 37.000 m2.